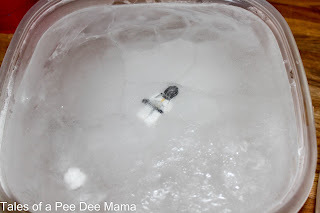 If you are a Star Wars fan, you're probably familiar with the scene where Han Solo is frozen in carbonite. We used this as the basis for our activity yesterday. We took a couple of The Boy's Lego people and froze them in ice blocks. 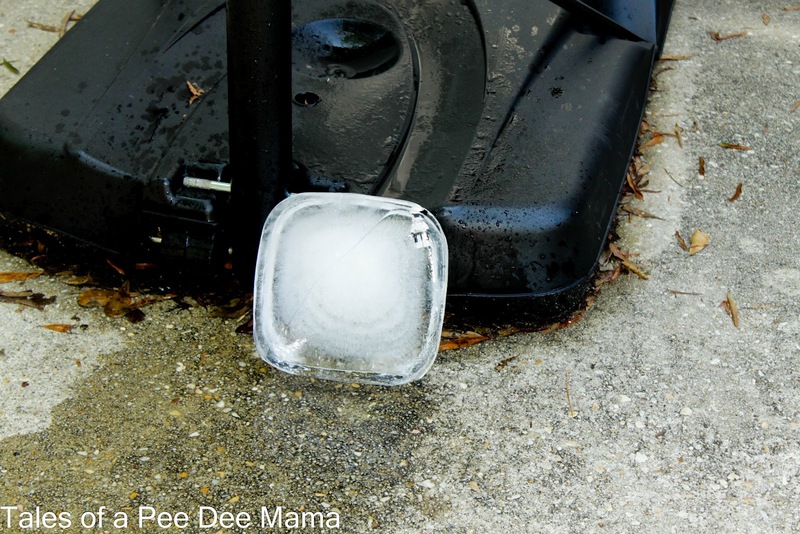 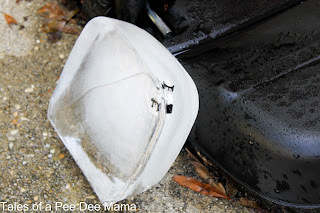 To freeze toys in ice, fill a container about 1/3 full with water. (I filled these halfway, and the toy ended up being to close to the edge of the ice block rather than in the middle.) Put that in the freezer. When that layer is frozen, place the toy on top and put a thin layer of water. Freeze again. 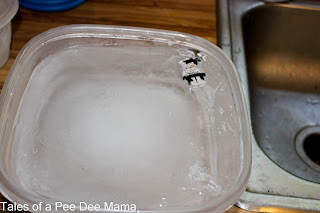 When that layer is frozen, fill remainder of container with water and freeze. 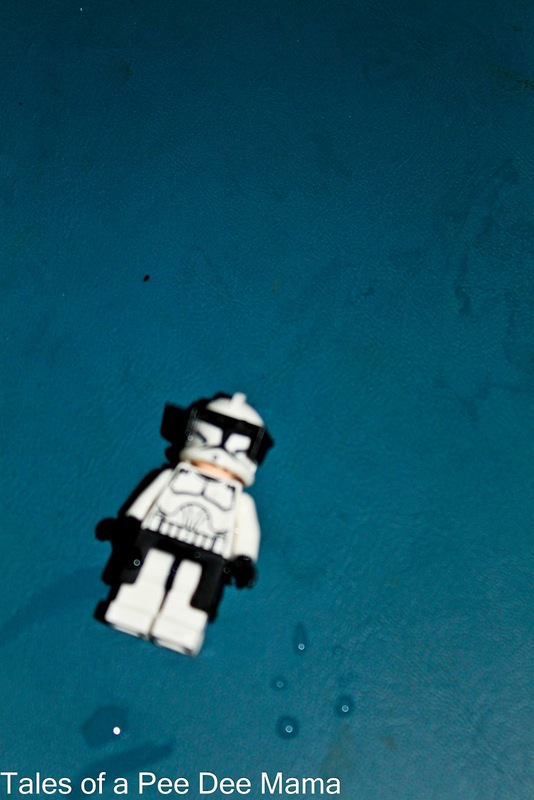 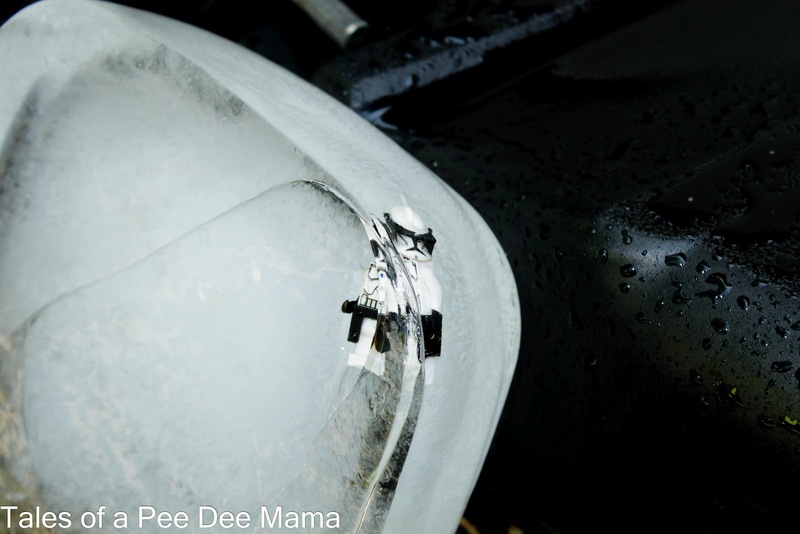 Once we had our Lego men completely frozen within the ice blocks, we took them outside to free them. 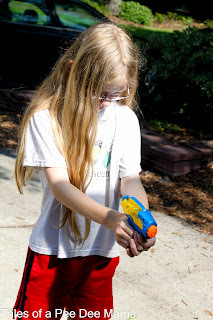 Everyone got a squirt gun, and they took turns spraying the blocks of ice to free the captives. Finally, after much squirting, our captive was free! 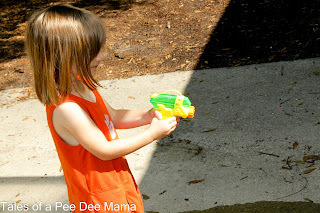 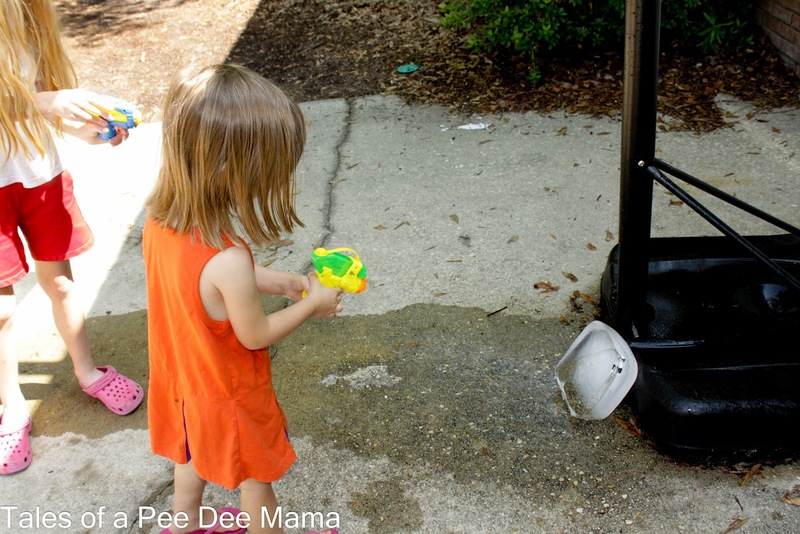 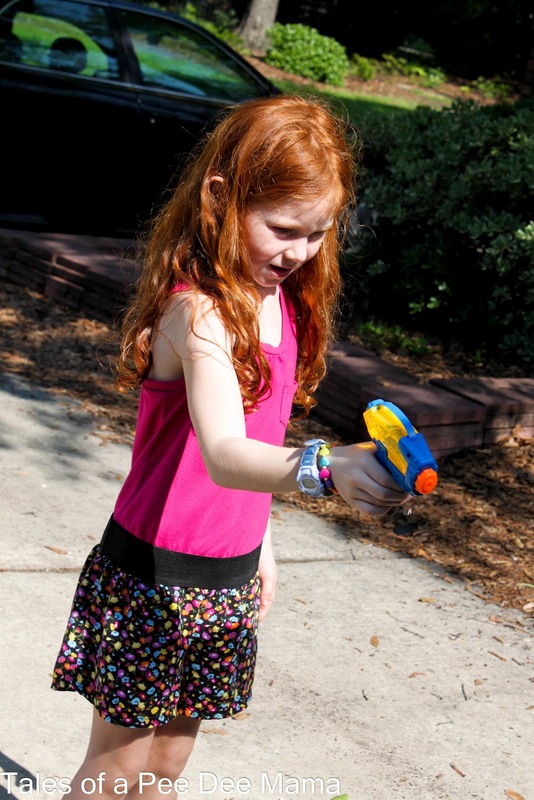 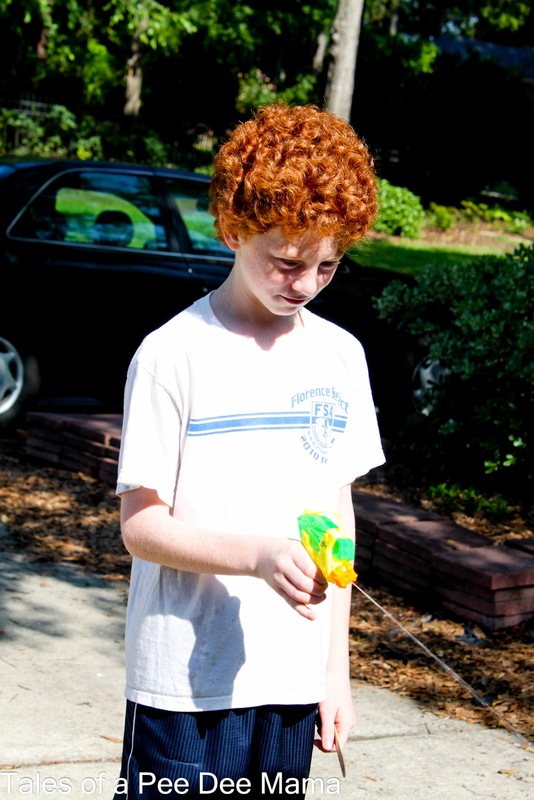 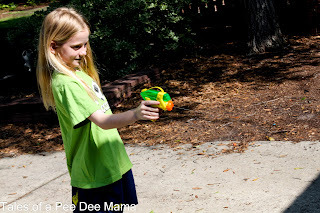 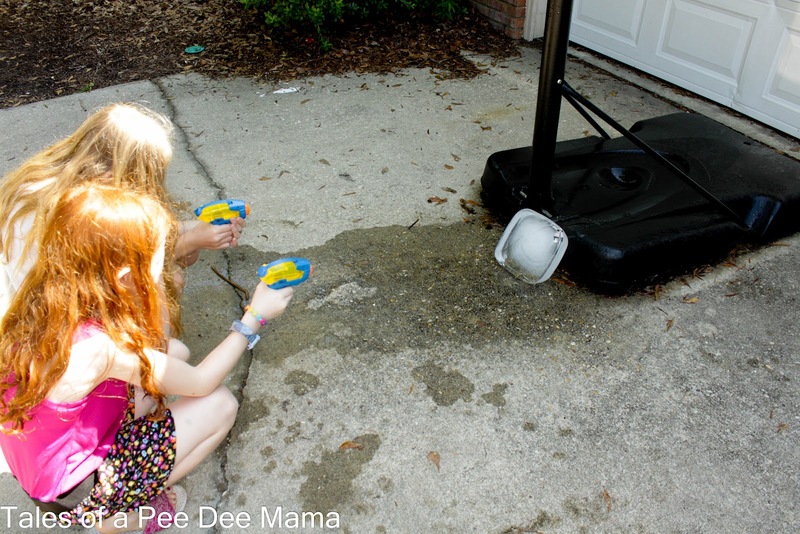 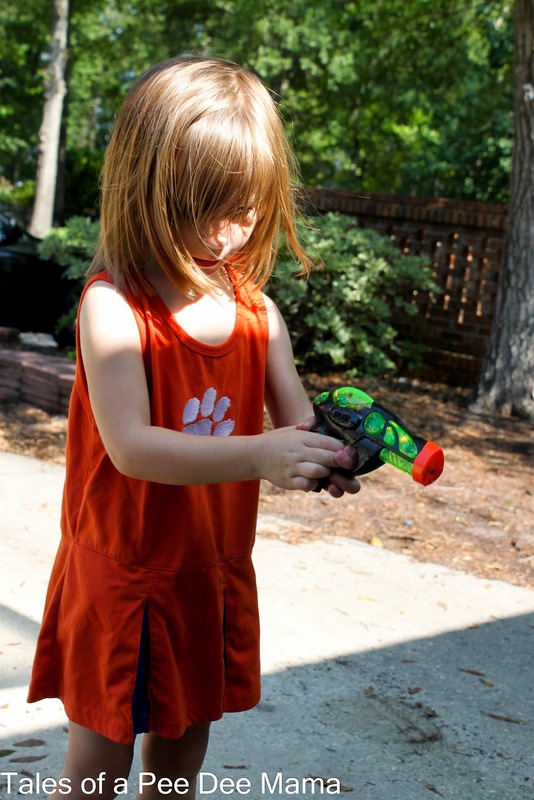 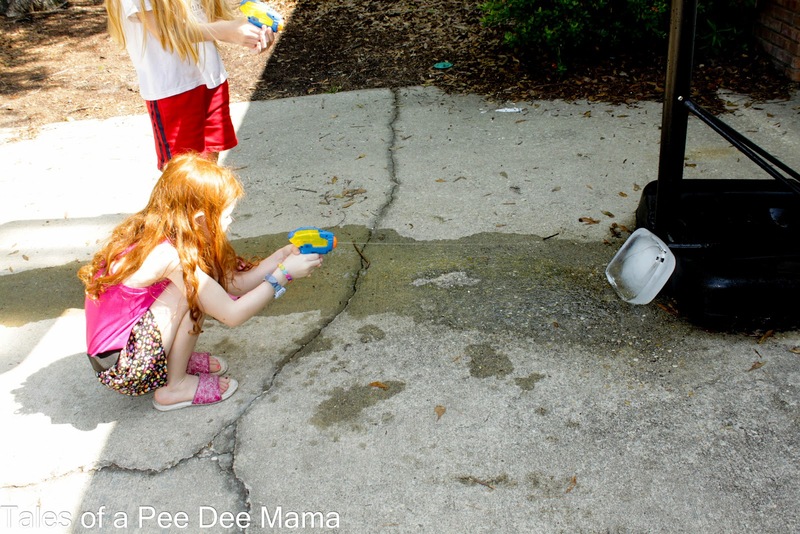 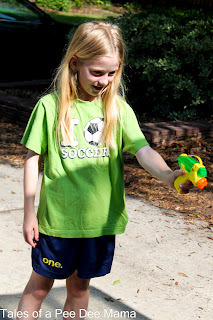 After freeing the captive, the small people turned the squirt guns on each other and had a great time getting wet.